Dilaudid is an opioid pain medication, also known as Hydromorphone. We list it as a narcotic drug. Thus, we use it for treating a broad spectrum of different pain levels – from moderate to severe. Like other pain relievers, it affects the brain by changing the way the body detects and responds to pain. Essentially, it increases the threshold of pain tolerance. Particularly, it increases in the central nervous system. Thus, Dilaudid binds to opioid receptors which also affects the respiratory reflex. Overall, due to the influence on the respiratory centers in the brain-stem. This effects and reduces responsiveness to carbon dioxide tension. It can cause very deep sleep. We find this medicine in the form of ampoules, tablets, oral liquid, and sterile solution form. Research has shown that 2mg of Dilaudid provides rapid pain relief. However, anything above 2 mg is too much if given routinely to a patient in pain. Even a single dose can cause oxygen desaturation. Notably, we can find this medicine in the form of ampoules, tablets, oral liquid, and sterile solution form. It begins to work within 30 minutes for oral, and 5 minutes for injectable forms. As such, the usual adult dosage of tablets is 2 mg to 4 mg, orally, every 4-6 hours. Finally, anything above 4 mg at a time is considered dangerous and can cause an overdose. What NOT to do during Dilaudid treatment? Do not take larger amounts than prescribed. Do not consume it for longer than prescribed. Don’t share with others, especially with someone who has a history of drug abuse. Do not sell and give the medicine to others. Do not drink alcohol with this drug. Dangerous side effects or death can occur when you combine alcohol with Dilaudid. Pregnant women should not take Dilaudid. Specifically, due to its possible interference with the fetus’ development. Also, infants of mothers with an addiction to Dilaudid for a long period will also be dependent on the medication. And unfortunately, experience breathing difficulties. Dilaudid can also pass into the breast milk and harm a nursing baby. Never crush or break a tablet to inhale the powder or mix it into a liquid to inject the drug into the vein. Because of this, the practice has resulted in many death cases. Although regulated, Dilaudid is still one of the most abused drugs today. Like other opioids, it has a great potential to be addictive. Overall, this medicine is also considered to be a recreational drug. It is like this because of the euphoric feeling it causes. Thus, the number of recreational users of Dilaudid is increasing every day. 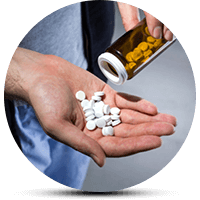 The best way to avoid complications related to Dilaudid use is to consult a doctor. Especially, if you suspect someone has overdosed, call 9-1-1 as soon as possible. Also, make sure you provide any helpful information about the person’s medical history, their weight, and the amount of drug taken, etc. All in all, it’s not unusual that Dilaudid overdose leads to more serious complications such as coma or death. That is why it is important to react right away when you notice some of these symptoms. Overall, your respiratory pathways are at stake, every second counts. After admitting a person who has overdosed to a hospital, doctors may use different methods to cut the drug’s impact. The most common procedure is to give the patient activated charcoal. They use the charcoal to prevent the body from absorbing more of the drug. A stomach pump may also be used to remove the drug from the body. Many people seek help in detox programs, support groups, and medical interventions. Learn more about how to recognize and help the people in need by visiting this site.